DUE TO WEATHER WE WILL MOVE THE PROGRAM AHEAD 2 HOURS PLEASE SEE TIMES BELOW. 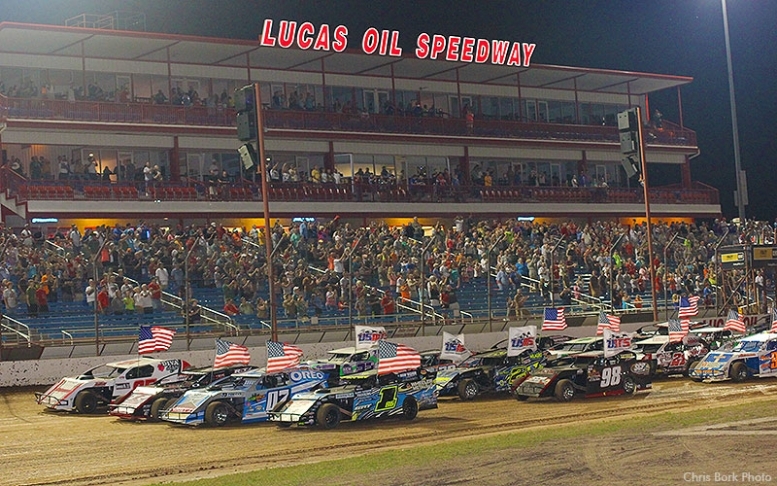 The Lucas Oil MLRA along with the Comp Cams Super Dirt Series Presented by Lucas Oil brings the best regional dirt late model racers to the "Diamond of Dirt Tracks" for a battle royal of late model dirt racing. 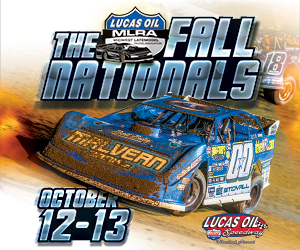 The Lucas Oil MLRA/CCSDS will be running a 50-lap $5,000 to win main event. Support classes to be announced. Gates open at 2:00, Hot Laps at 4:30, and racing at 5:05.